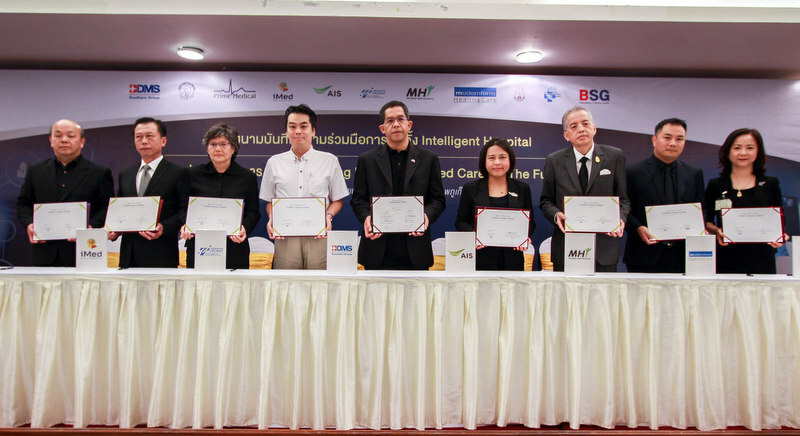 PHUKET: Bangkok Dusit Medical Services (BDMS) Southern Group has joined together with eight business partners to sign a Memorandum of Understanding (MOU) to establish Thailand’s first “Intelligent Hospital” in Phuket. 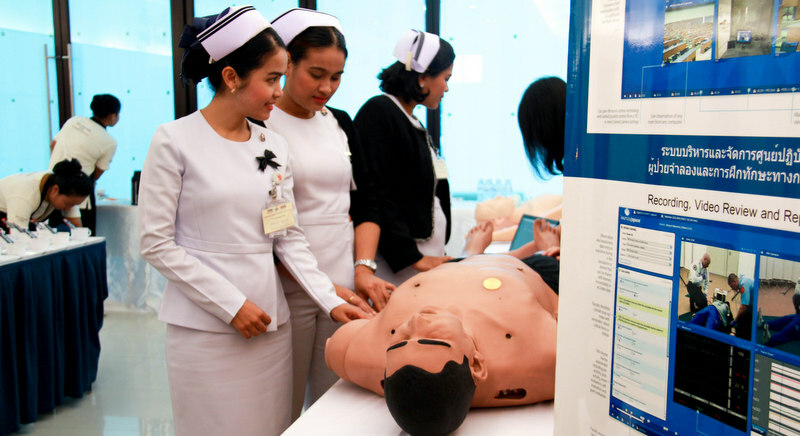 Nurses examine an exhibit at the DBMS Intelligent Hospital centre at Dibuk Hospital in Wichit. 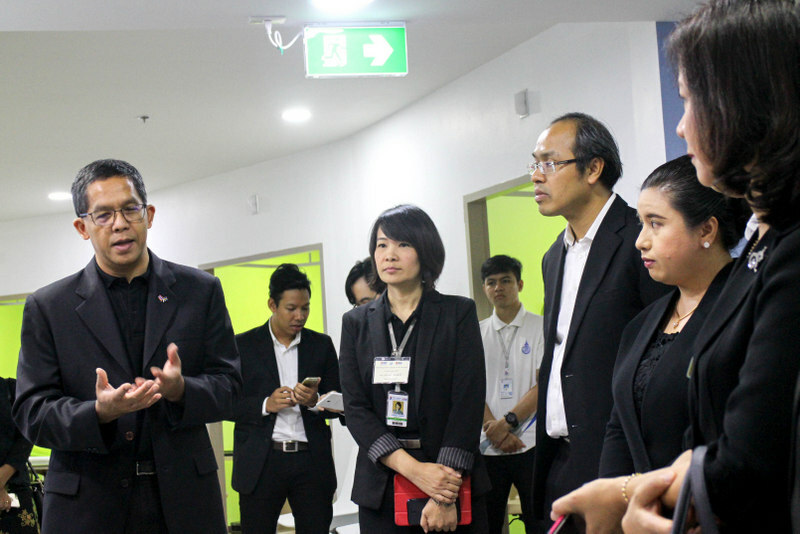 BDMS Chief Executive Officer (CEO) - Southern Group Dr Kongkiat Kespechara (left) speaks during a tour of the Intelligent Hospital facilities. BDMS signed an MoU with eight business partners to bring to life the first ‘Intelligent Hospital’ in the country. The key business partners were given a tour of the Intelligent Hospital facilities. BDMS Chief Executive Officer (CEO) - Southern Group Dr Kongkiat Kespechara signed the MoU on behalf of BDMS at the King Carl Gustaf’s Conference Room on the third floor at Bangkok Hospital Phuket last Thursday (Nov 17). As CEO of BDMS Southern Group, Dr Kongkiat oversees operations at Bangkok Hospital Phuket, Bangkok Hospital Hatyai, Bangkok Hospital Samui, Bangkok Phuket International Hospital and Dibuk Hospital. The eight business partners who signed to together create the country’s first “Intelligent Hospital” were Xovic Thailand, Prime Medical, International Medical Software, Toyota Tsusho Electronics (Thailand), Advance Wireless Network, TWH Mobile Health International, Modern Form Health and Care, and Nakhon Phanom University. 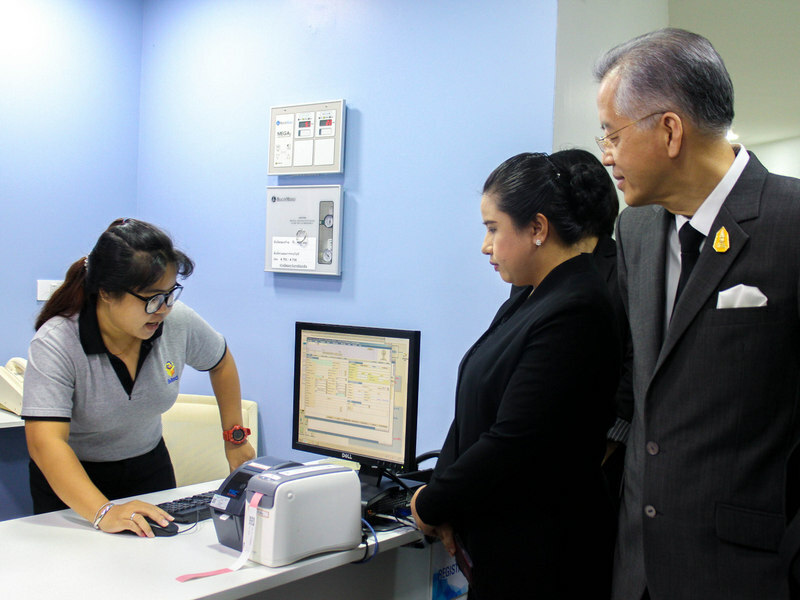 The top management from the eight business partners were given a brief tour of the Intelligent Hospital facilities, located at Dibuk Hospital, on Chao Fa West Rd in Wichit. “The centre aims to combine technological innovation and patient care to an unprecedented level, and is poised to be an education hub for medical care and nursing, using state-of-the-art technology and fully-synchronized simulation system,” said a press release issued this week. “Learning medical professionals/nursing students will have a unique chance to immerse themselves into lifelike, hands-on workshops and intensive training in light of excellent medical performance and clinical outcome,” the release added.